For high-quality windows, roofing, siding, visit us at Crown Builders in Charlotte, North Carolina. 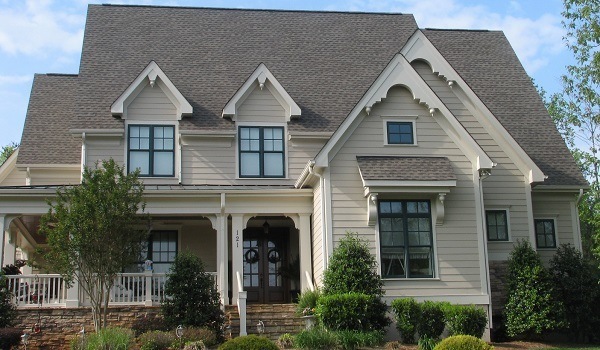 If You Want to Increase the Value of Your Charlotte, NC Home, Consider Exterior Remodeling. The initial excitement of an exterior remodeling project is often overshadowed with stress and a variety of different emotions once the project actually begins. At Crown Builders, we strive to make every exterior remodeling project we complete as easy on you as possible. However, before your remodeling project begins, we recommend that you consider these few guidelines. If you have plants around the area where the exterior remodeling project will be taking place, plan to remove them beforehand. This will give you an opportunity to determine which plants you want to save and replant once the remodeling is over. When we are working on your home, we will do our best to protect any remaining plants and trees in the area where the remodel is taking place. Exterior remodeling projects are often associated with loud noises and construction equipment. Before anyone starts working on your property, alert your neighbors about the project and how long it will take to complete. This will prevent any grumpy neighbors from calling your home owners association or getting angry at you for the noise. One of the most important parts of any remodeling project is communicating with your contractor. At Crown Builders, we have gained a reputation for being the best exterior remodeling company in Charlotte, North Carolina because we are committed to addressing our customers’ needs and concerns and regularly updating them on the status of the project. You can expect that the exterior remodeling contractors from Crown Builders will do high-quality work, complete the exterior remodeling project on your home as quickly as possible, and constantly communicate with you regarding what is happening. For all your exterior remodeling needs please contact Crown Builders in the surrounding areas of Charlotte, Huntersville, Concord, Gastonia, Matthews and Mooresville, NC.